An Anniversary shared between two people is a cherished event. Time, Commitment, Passion & Love are all important pieces in a strong, healthy relationship. 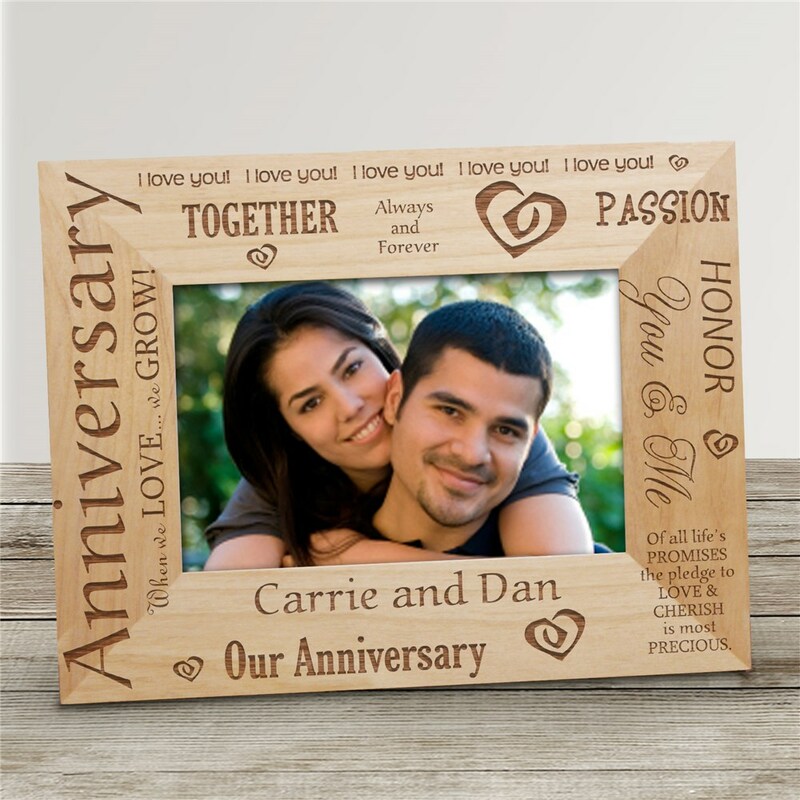 Honor the bond you have developed of the years with this beautifully Engraved Anniversary Personalized Wood Picture Frame. This personalized picture frame is a splendid personalized gift for a couples first or 50th wedding anniversary. These Wedding Personalized Wooden Picture Frames comes in three sizes, please choose from, 4"x6, 5"x7" and 8"x10". Easel back allows for desk display or can be wall hung. Personalized frame includes FREE personalization! Your Engraved Anniversary Picture Frame can be personalized with any couples name. I bought this for my husband for our 15th wedding anniversary. I sent this to my daughter and son in law for their 5th anniversary and I was concerned about the quality, and my daughter was very happy and said the quality was very good. They really like the frame. I was very happy with the quality of this frame. I cannot wait to give it to my husband for our 25th anniversary.